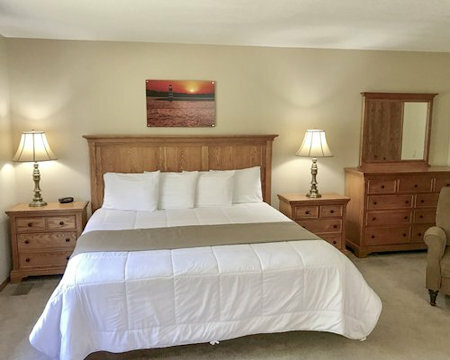 Enjoy 7 Nights at the Clover Ridge in Panora, Iowa! At Clover Ridge, you'll find so many ways to enjoy your stay. 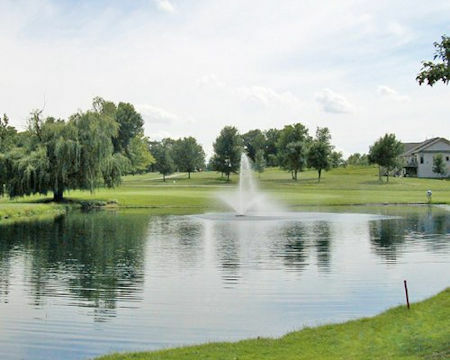 In addition to the inviting shores of Lake Panorama, where you can spend your days sunning and swimming, you can hit the links at the 18-hole Lake Panorama National Golf Course, which also includes practice greens and a driving range. 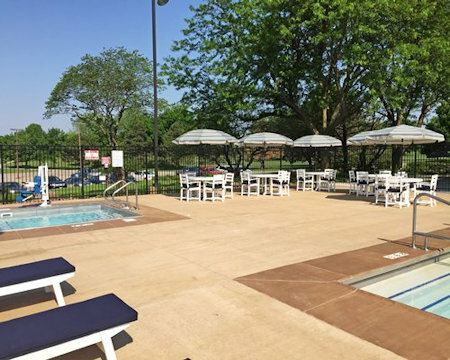 Two outdoor tennis courts and an outdoor swimming pool offer even more ways to relax, and you can keep up your workout routine at the Fitness Center. When you've worked up an appetite, the on-site restaurant offers a variety of flavorful dishes. 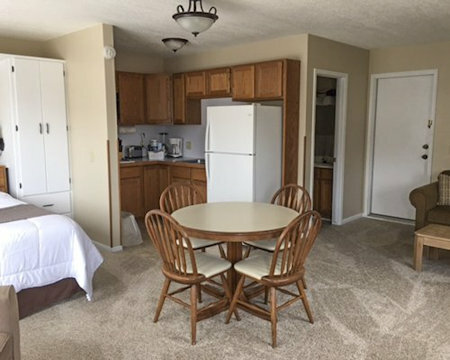 Units include full kitchen ( 2 & 3 Bedroom Units), partial kitchen with refrigerator (Studio Unit), fireplace (2 & 3 Bedroom Units), washer and dryer (2 & 3 Bedroom Units; on site for 1 Bedroom Units), microwave, Wi-Fi, cable TV, DVD, and individual climate control air conditioning. The units also have balconies or patios which are a great place to relax. Your 2 Bedroom Suite will accomodate up to 6 people and has a full kicthen. OR UPGRADE TO A 3 BEDROOM SUITE FOR ONLY $150 FOR THE ENTIRE WEEK! Your 3 Bedroom Suite will accomodate up to 8 people and has a full kitchen.